So glad spring is here. 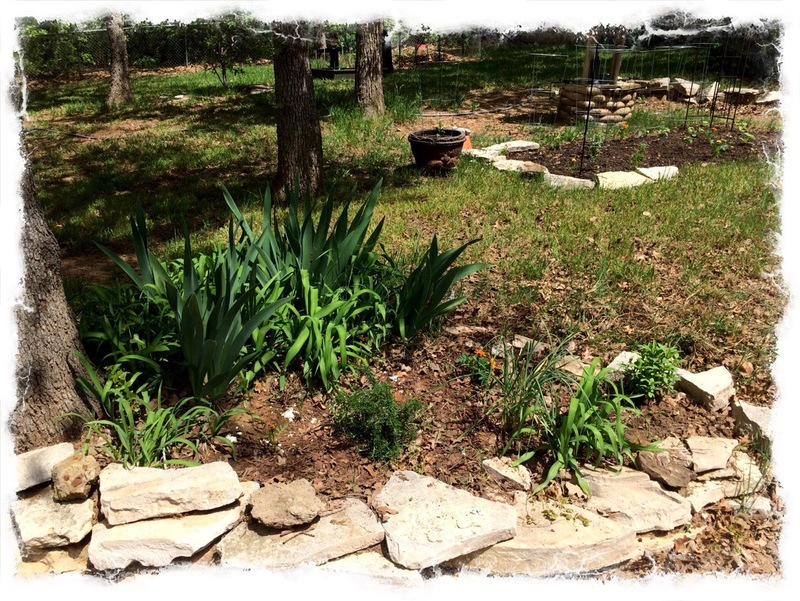 Not looking forward to the Texas heat, but happy to start working in the neglected flower beds, and see my flowers start blooming. I have lots to do before the heat sets in, and can’t wait to see what all blooms. When we moved in last year most things had already bloomed. Here is my large flowerbed in the front. It has been neglected by the previous owner. This flowerbed has lilies, irises, monkey grass, weeds, some vines which I think is blackberry vines. These thorny vines are in pretty much all my flower beds, which makes them hard to work in. So with heavy gloves and shovel I am trying to remove them. 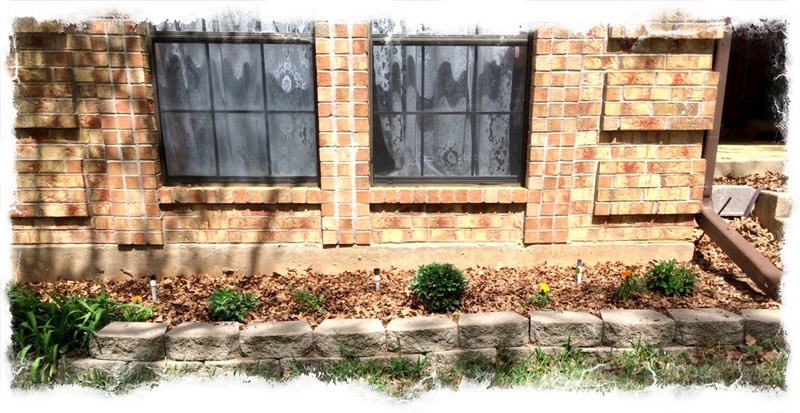 This is my front flowerbed that I worked on last year pulling the thorny vines. Looks like I’m going to have to pull more )-; Good news is my mums made it through the winter. 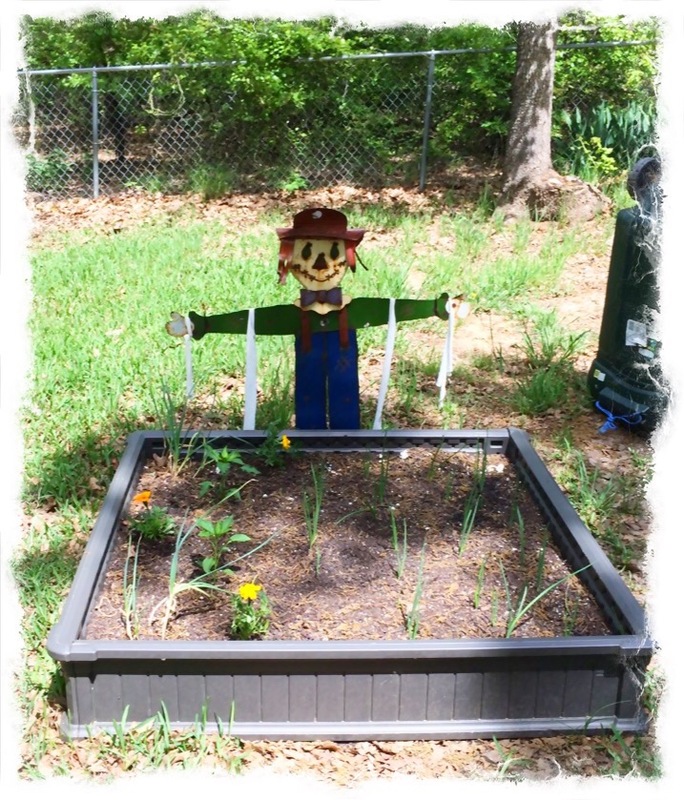 I also planted a few marigolds in the flowerbed. 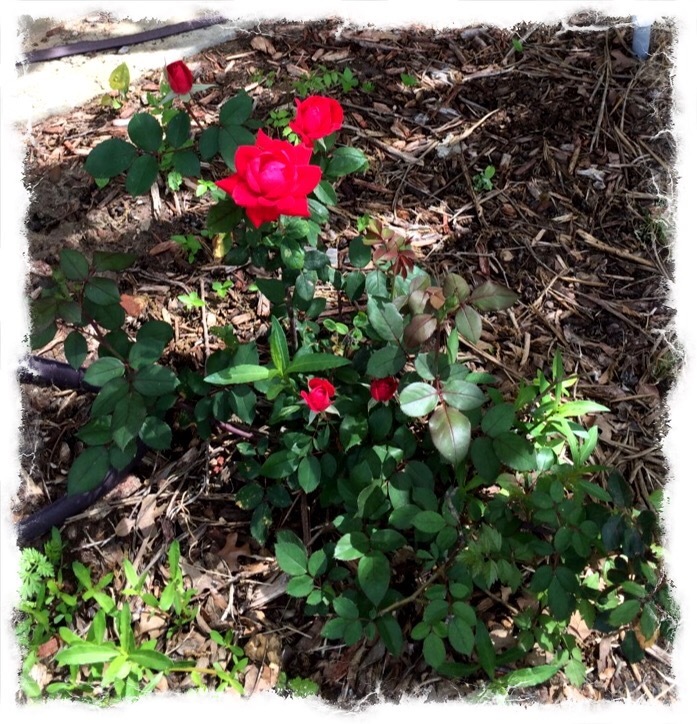 Here’s just one of the million rose bushes I have. I will be removing some of these too. There’s so many and their so close together it makes it hard to work in the flowerbed. 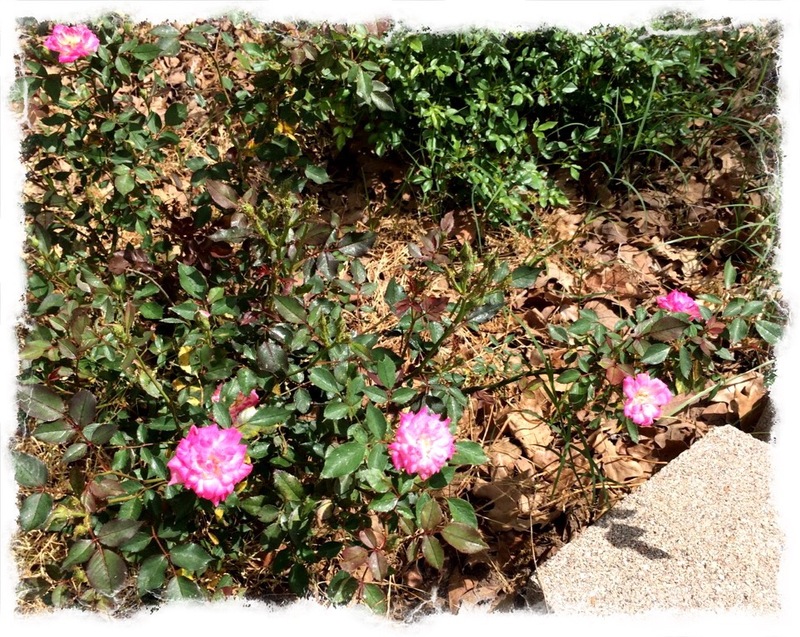 Here’s just one of many flowerbeds in the back yard. 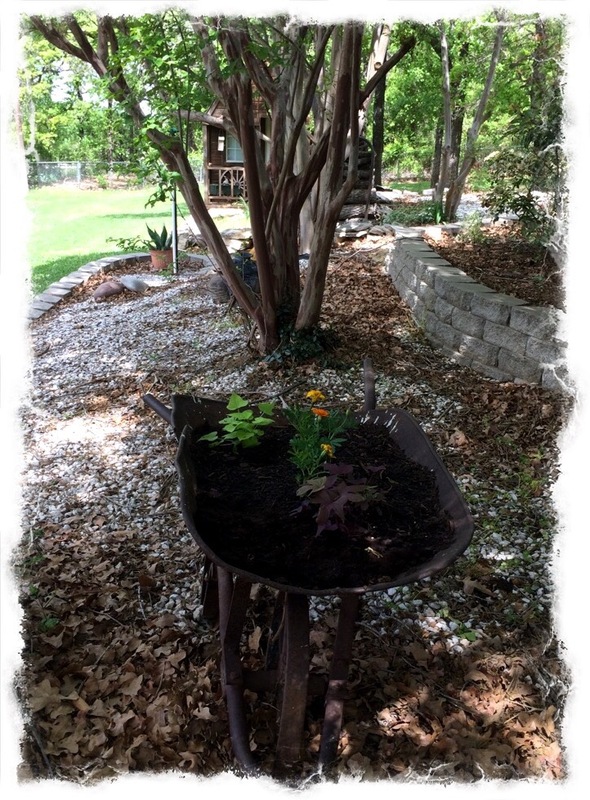 I made this old wheel barrow a planter for my potato plants and more marigolds. In the front is an old self (you) propelled tiller (not sure the name for it, but it’s old, and I believe that’s what it’s for). 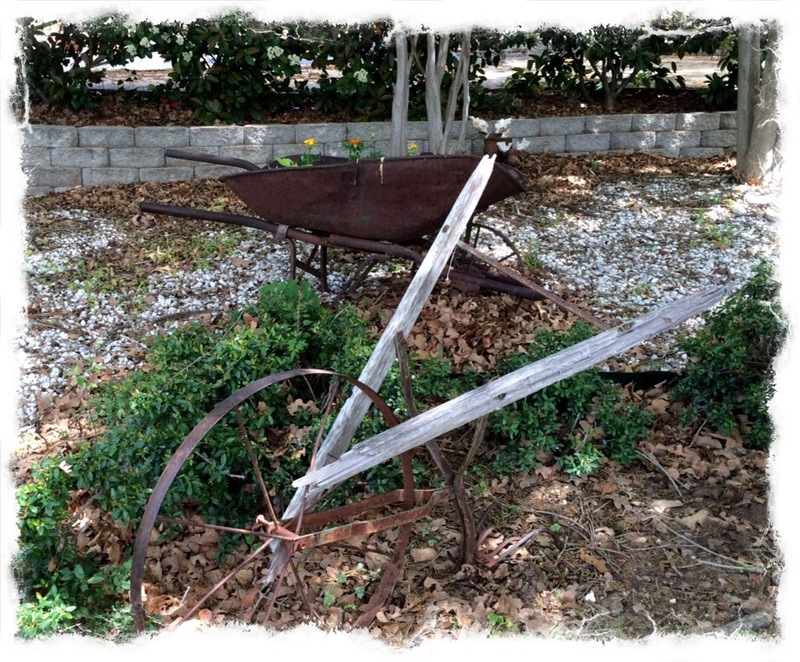 Here’s the wheel barrow planter again. Still have lots of leaves to rake up and add to compost bin. This flowerbed is in the back by the pool. I have weeding to do here too, but I have lots of lilies, and irises, I also planted a moonflower, mexican marigold, and mexican petunia (perennials) that I had brought with me from the other house. 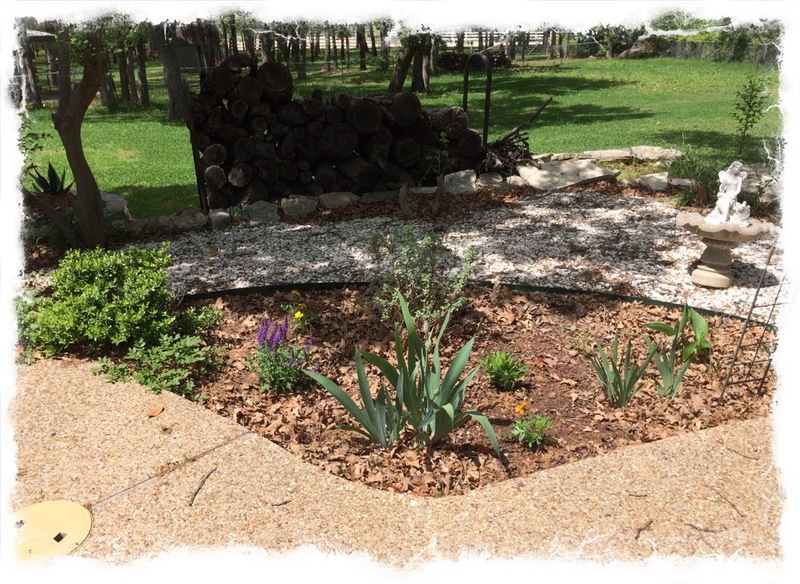 Here’s another flowerbed by the pool where I planted Texas sage, saliva, and irises. 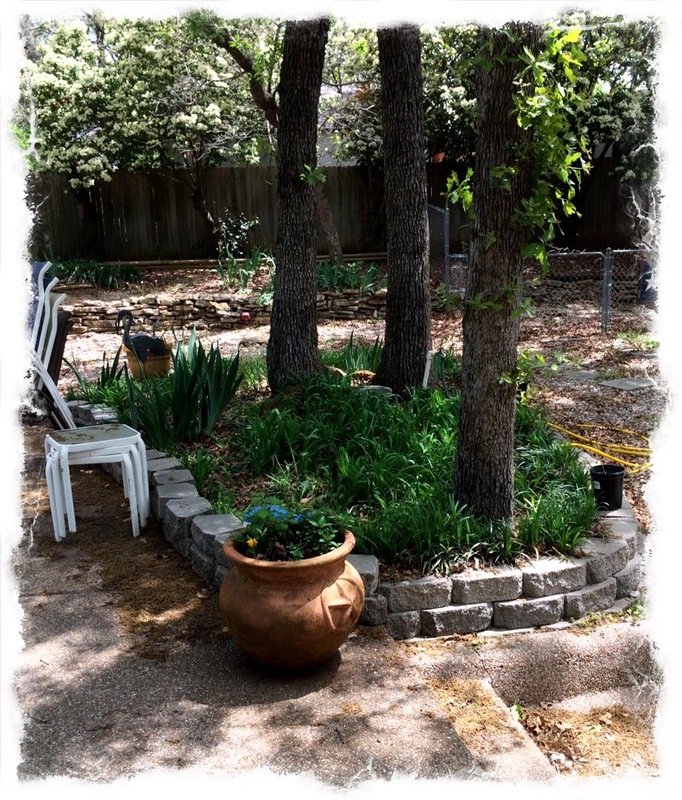 This flowerbed is in the far back and has my little Rosemary plant, irises, and lilies. 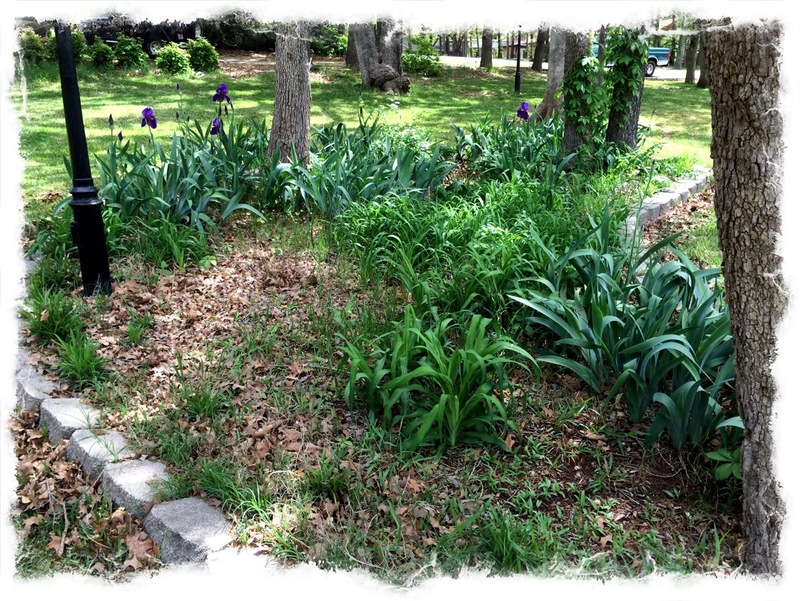 I have tons of irises, not sure what colors yet, but I do know I have purple. Here is my small little garden plot, next year I hope to enlarge it some more, but for now it works. I have tomatoes, squash, peppers, cucumbers, and marigolds planted here. And last is my raised bed that I threw up last month to hurry and get my green onions in the ground. A squirrel, rabbit, or something keeps digging in it. 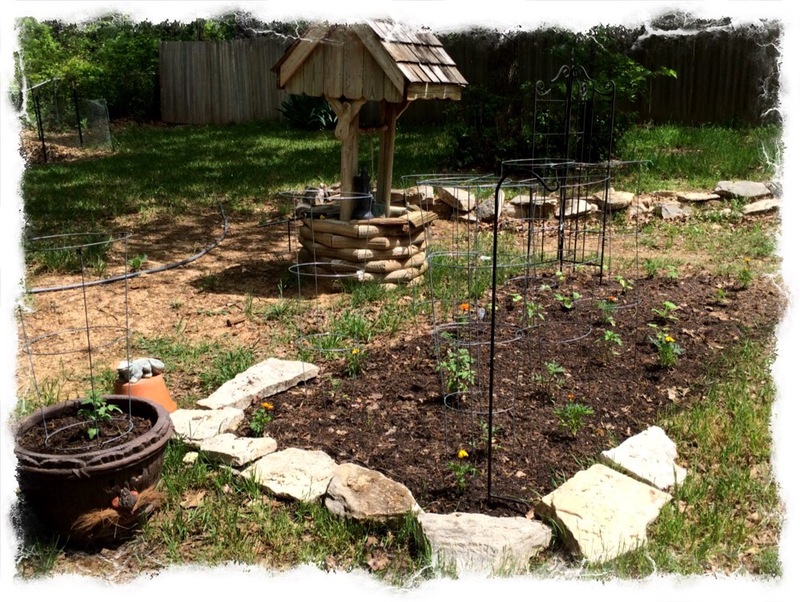 I have a couple pepper plants, garlic, and more marigolds (pest deterrent) planted here as well. So this is what I’ve been up to since its warmed up. Still lots to do, but I love working in my gardens and getting things how I want them. What have you been up to this spring so far? Do you have a garden?